9 lbs of grapes, 5 minutes of collecting. Tons more to go! Thanks to our demanding shepherd-mix and an excess of “stuff,” we moved to a bigger house with a yard about a month ago. This house is old, built in the 1920s, and it has massive feral grapevines growing along the back fence. We were bummed to see there weren’t many grapes growing within reach, but looked up to find a rather low power line covered in fruit. Our very own electric grape arbor! It’s been a long month waiting for all these grapes to ripen, but now they are at their peak. 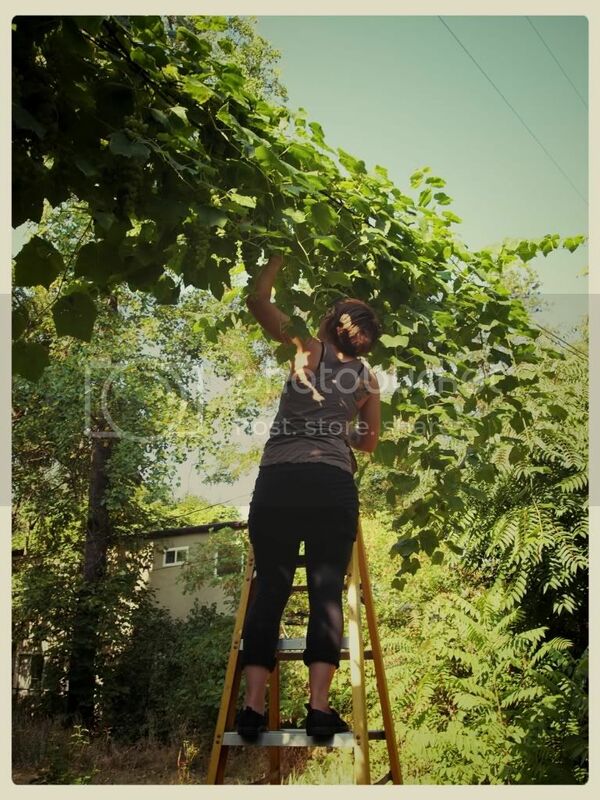 Grapes have gone feral in most mild-ish climates across the country, often found at old homesteads (modern-day city lots). So unless you live in the ‘burbs or a place that gets heavy snow, you’re likely to find an abundance of free, organic and delicious feral grapes growing in your neighborhood! We have more grapes than we know what to do with right now. We’re not into jelly, so today’s project was homemade raisins! Place evenly on drying racks (or cookie sheets if going in the oven). Leave space for ventilation. Dehydrator: Set to 165 degrees and dry until leathery and shriveled. 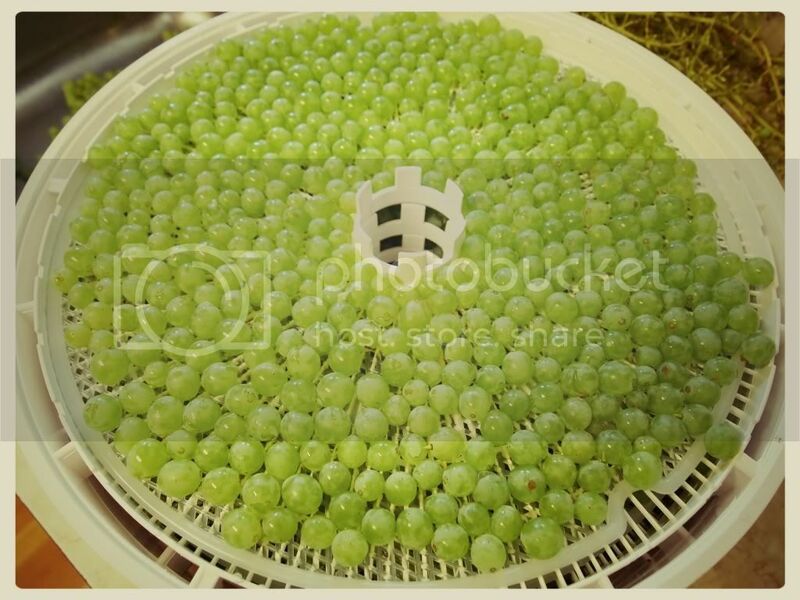 Grapes are 80% water so they take a long time, 10 hours or more. I leave mine on overnight. Sun: Set fruit in direct sun. If you can, layer them between old window screens to deter flies. You can also leave them on the stem and remove them once dry. Sun-drying will take 2-3 days. Oven: set your oven to 170 degrees and bake until leathery. WARNING: This will take forever! If you don't have a dehydrator, the sun is preferred over the oven. Store dried fruit in plastic baggies or jars in the cupboard. The only downside to our electric arbor is that collecting is kind of a pain. But this keeps them out of reach of the neighborhood deer! Grape leaves can resemble maple leaves and grow as small as fist or as large as a salad plate. Old grapevines grow thick and hairy near the ground, new growth is sprawling and bright green. Can you tell me how to spot wild grapes?